The slimmest option – a very low profile semi-hard plastic that snaps on your phone with the graphic that wraps around the edges. The material is durable, and the screen side edge of the case makes a small lip for protecting screen when your smartphone is placed on the screen. Those looking for ease of use and a slim stylish look prefer these cases. We do not use stickers, decals or glued-on images on our cases. 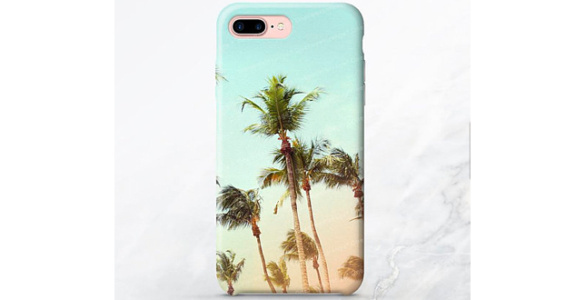 Our cases are designed in our NJ Design Studio & printed with the latest technology & inks that provide absolutely beautiful texture & vibrant color hues. Available in matte and gloss finish. Our 3D Form Tough Cases are absolutely gorgeous! This is the best looking and most durable case that is made from clear silicone inside lining with plastic outer shell! It’s highly recommended case and it’s our best selling product that offers protection without being too bulky. Crystal Clear inlay nicely compliments design and provides protective front side lip. Clear inlay part also covers all edges and conceals all device buttons allowing easy access to ports, while plastic back side gives that double protection for back and sides. It’s SLIM and STYLISH yet TOUGH and DURABLE. It feels simply awesome in you hand! Non-brand charger connectors might be difficult to use. Available in matte and gloss finish. It’s totally your preference – both are beautiful finishes! We prefer to see natural textures such as wood, linen, vintage tile etc. on matte case and for more abstract fractals, marble and even florals we would suggest gloss finish. Matte finish might feel a bit less slippery than gloss. You’re not going to see any fingerprints on either finish. Both will feel great in your hand!